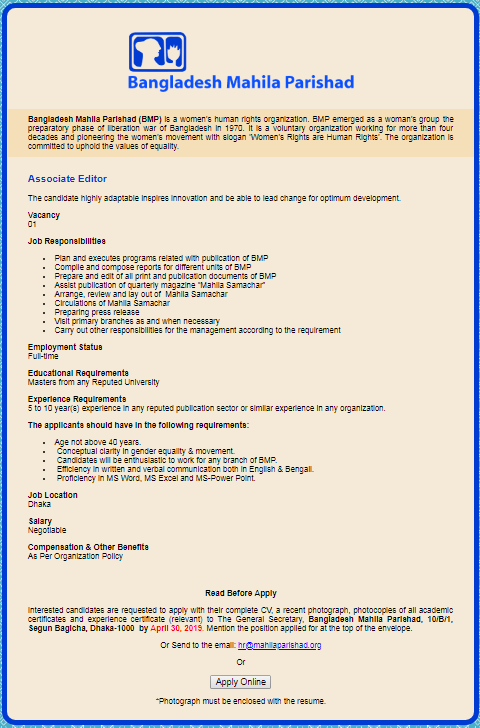 If you are looking for a fresh new NGO Job Circular in Bangladesh. Then Bangladesh Mahila Parishad BMP Job circular 2019 is for you. Because it is one of the exciting NGO in Bangladesh. So you can easily apply for the job circular by visiting my website. Beside this, we will also publish all kinds of lates job circular on our site regularly. If you want to apply for any job circular you can visit our site.